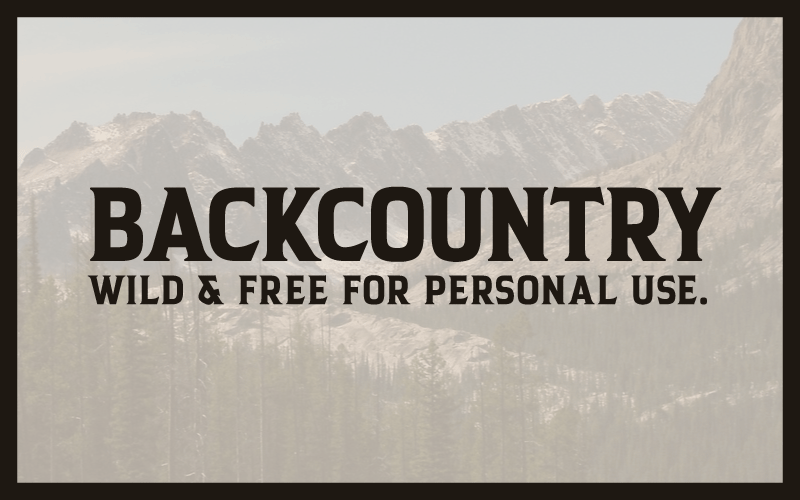 Backcountry is a bold and adventurous typeface. The font it's free like the wind if one want's to design with it for non commercial use. And best of all, it's cheap for commercial use. Starting at only 5 USD for small businesses. Please fell free to contact me at henriavecunk@gmail.com in any case regarding this font.